Fox Trot is a basic dance from which you can acquire a foundation. Learning to combine dance steps easily and smoothly, teaches variety and maneuverability. The Fox Trot posture is attractive in appearance and helpful to all other dances. 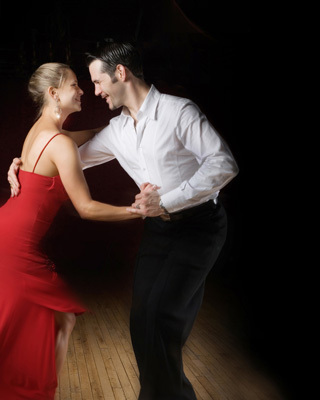 Being able to dance to slow, medium and fast tempos will add confidence to your dancing and will assure fun and relaxation for your partner. The Fox Trot provides a good foundation for all dances and is often called the “get-acquainted” or “first impression” dance. With such wonderful composers as Johann Strauss and others, the Waltz became more and more refined. The steps became smaller with the turns smoother and more compact. Adding the graceful lilt of the flowing skirts, we have today’s Viennese Waltz.